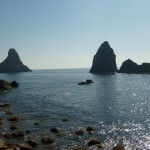 The main advantage of staying in Fiumefreddo Di Sicilia is its strategic position, which allows tourists to easily reach the most famous attractions, such as Giardini Naxos, Taormina, Acireale, Catania, Castelmola, the volcano Etna and its nearby small towns where it is possible to experience the local culture, and many other cities, in just a few minutes driving. It is also suggested to visit its protected Natural Park, where a variety of plant species are found, including the almost extinct Papyrus. 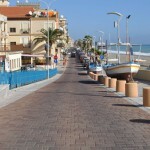 For the lover of long walks, or for those who would like to benefit the free bicycle service offered by the bed and breakfast, it would be possible to reach either walking or cycling, from the bed and breakfast, the beautiful local beaches where the Fiumefreddo river flows, an area where the human impact is still minimal. 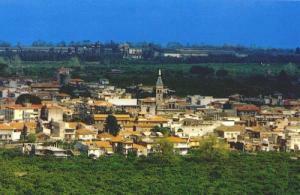 First Greek colony in Sicily, it has got a large archaeological area as well as a museum. 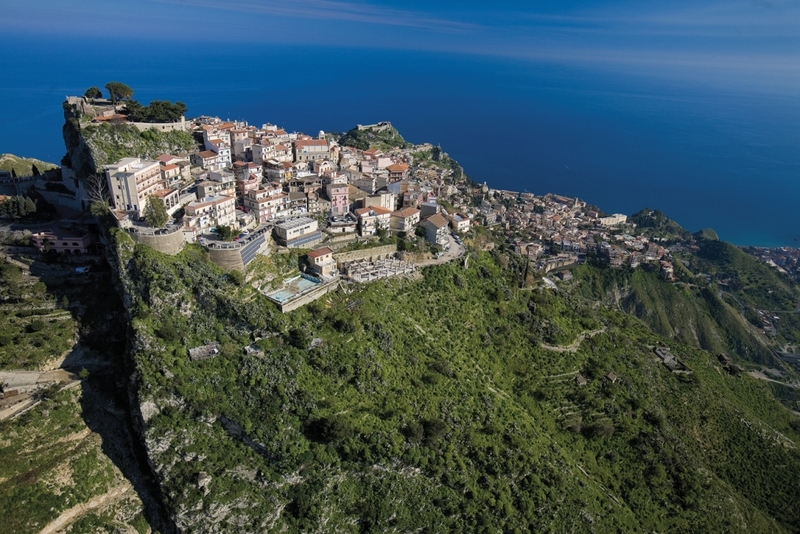 Few landscapes show the typical beauties of Sicily as Giardini Naxos does, birthplace of antique Mediterranean civilizations and touristic spots. 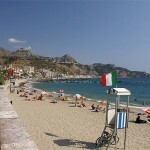 The sea and the beaches of Giardini Naxos are quite demanded, even by habitants of neighbouring cities. 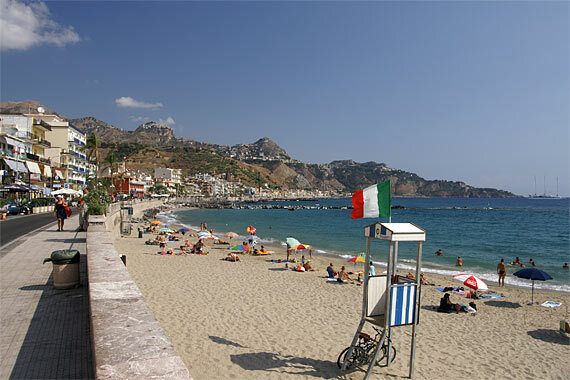 The water and the beaches cleanliness, along with the coast high level of infrastructures, has allowed the city of Giardini Naxos to be within the top most desirable holiday destinations amongst the travellers. The coast development has converted the seaside into a great place for both youth and adults, to meet up, transforming the sea into an exclusive location with a great variety of restaurants, discos and beaches that offer different services of entertainment and relax. Taormina is located exactly at about 200 metres above the sea levels and its particular structure makes it look like a balcony with a beautiful panoramic view from where the close by Etna volcano stands out. 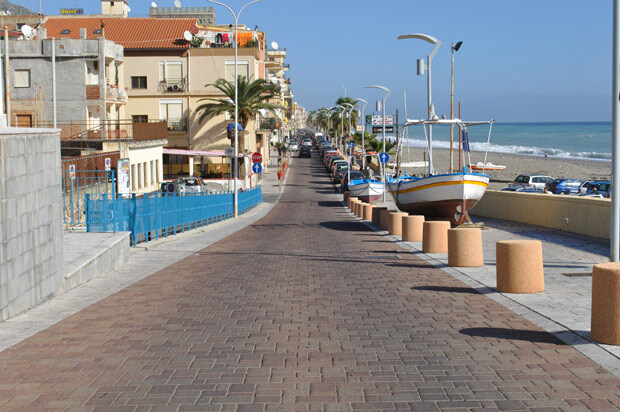 In this area, the tourism is active the whole year round, not only due to its typical Sicilian cultural and natural attractions but also thanks to its good receptive and recreational system and the authentic Sicilian warmth. Here, the tourists are spoilt by choice: they could make an historical-cultural tour of the city to admire the cathedral dedicated to Saint Nicholas, built on the thirteen century, its palaces, and its famous and well-known theatre; moreover, the tourist would not be indifferent to the natural beauty of the city, such as its public gardens and its famous beaches, such as L’Isola Bella. Along the centuries, the city has always been a big touristic place which has welcomed also celebrity figures, such as: Guglielmo II of Germany, many writers as Goethe, Maupassant, D. H. Lawrence, A. France, Oscar Wilde, Brahms; stylists like Dior; noble ladies as Florence Trevelyan; the German painter Geleng; and English and French nobles. 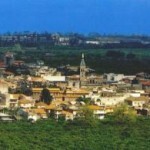 The small council of Castemola has only about 1000 habitants but it is unique thanks to its typical Sicilian bars and restaurants. 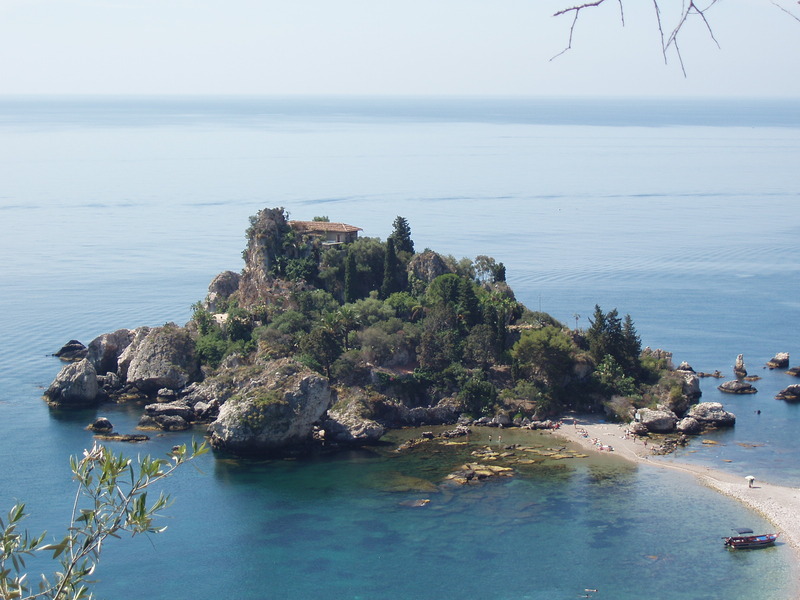 Thanks to its height of 550 meters above the sea levels, it is possible to see all Taormina, the Giardiny di Naxos bay including Sant’Alessio Siculo. Looking the South, it is visible the impressing panoramic of the Etna. Being a small destination, it may take only half a journey to visit it. 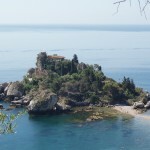 From Taormina it is possible to reach Castelmola on a 90min walk, and driving or by bus in only 10mins. There are also available a spa centre, plenty of open air and indoor sportive infrastructures, an equestrian centre, a school of paragliding and delta plane, with all the necessary equipment for the activities. Of also great importance, it is the presence of the Congress Palace and the museum that preserves many testimonies of the past. For those who cannot leave the sea, there is the possibility of going back in the evenings to visit the numerous premises that are just on the seaside, have dinner, or dance, maybe on the sea shore, with the feet on the water. It is important to consider that Letojanni offers every year a large list of events for the summer time: music shows, theatre, folklore amongst others. The cinema lovers could enjoy their favourite movies outdoors, at the Arena O. Biondo, which hosts every year the “Cinema sotto le stele” (Cinema under the Stars). Start your adventure in the land of the Etna. 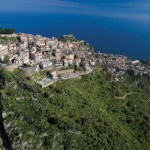 Both high profile and relax itineraries are planned and promoted the whole year round. The FUNIVIA DELLETNA SpA organization, manages not only the implants of the cableway and sky tow, but also transport activities with buses and off-road vehicles, guided tours through the craters of the volcano and the organization of many other tourist tours. The square of the cableway offers a variety of services for the visitors: parking, restaurants, hotels, skiing schools, souvenir shops, medical centre and rescue. Catania is the second most populated city in Sicily with over 313.100 habitants. This city holds a millenary history, it is rich in monuments and in 2002 its historical centre and seven communities of the neighbouring town Val di Noto have been added to the UNESCO World Heritage Centre list. The origins of the city is ancient and the first information dates back to the pre-Italic Sicilian nation; having become a Greek colony in the VIII century B.C. 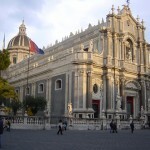 Catania is also famous for its legendary nightlife and not just in Sicily. This city offers many places to enjoy oneself. Between Duomo Square, Università Square and Teatro Massimo Square, there are many pubs and clubs, which are always crowded and lively. In summer they turn into famous “Caffè Concerto”, extending their activities in the City’s open spaces and offering live music and multimedia events. The choice of fun things to do is never-ending: there are many theatres, fashion disco clubs and an endless variety of pubs, where always you can find live music. You can choose between modern, Arabic or Irish style, minimal Japanese atmospheres and exclusive wine bars. City’s inhabitants make Catania’s nightlife so interesting that it seems natural to stay out until dawn. So, if you get hungry after walking, talking and dancing there are several bars open 24 hours a day. 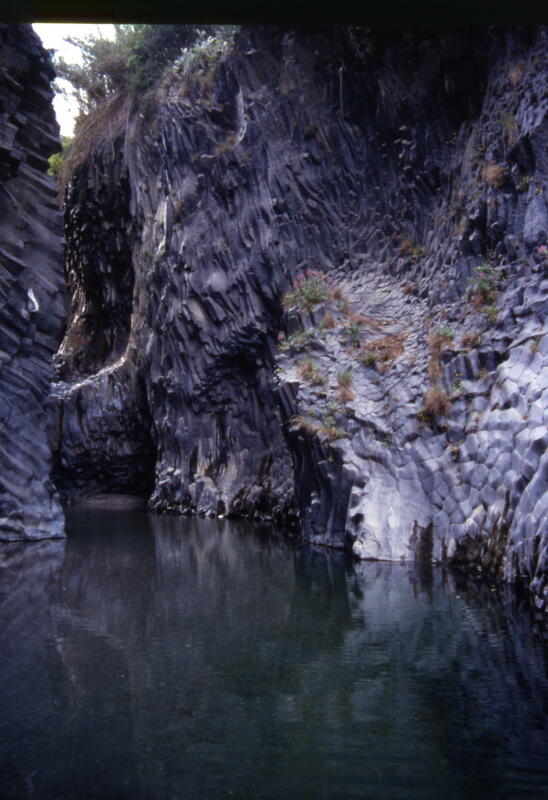 At 1.200 metres high on the slopes of the Etna, it flows, winding and inaccessible, the Alcantara river. After a lava flow, the Cooling down of the incandescent magma created high walls of basaltic prisms geometrically perfect. 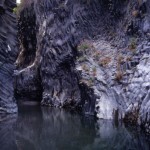 Along the following millenniums, the ice-cold and wild waters of the Alcantara river eroded the lava flow sculpting a landscape similar to a canyon, the Gole dell’Alcantara. In between the tall and black lava walls the tourist will find clean lakes, foamy cascades and small beaches created from the erosion. Here it is possible to stop and admire the impressive lava flow which as ancient columns surround the area; a tour not to miss!! 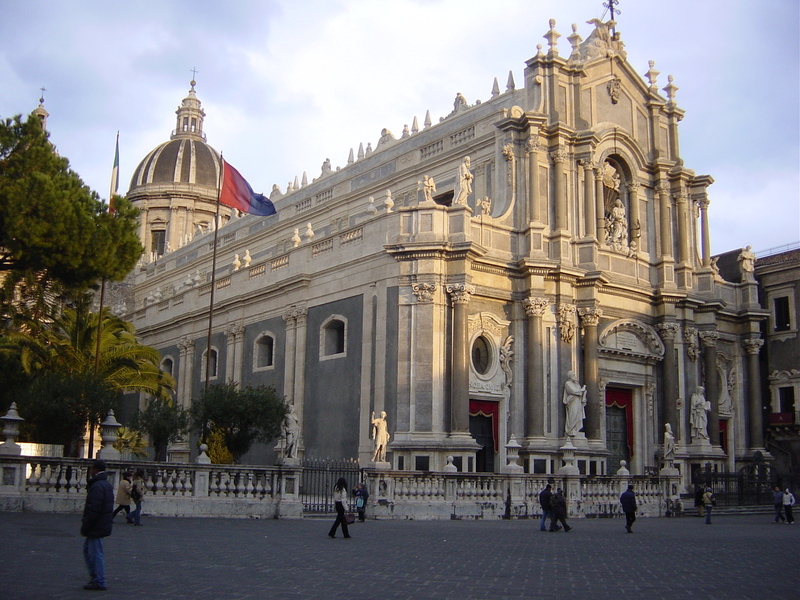 Acireale, a fascinating Baroque town, rich in history and culture deserves a visit. Stage of the most famous Sicilian carnival, tourists can take part of this event to fully experience the authentic culture of the place where music, food, wine and a lot of fun with the colourful carnival floats will guide you throughout your visit. 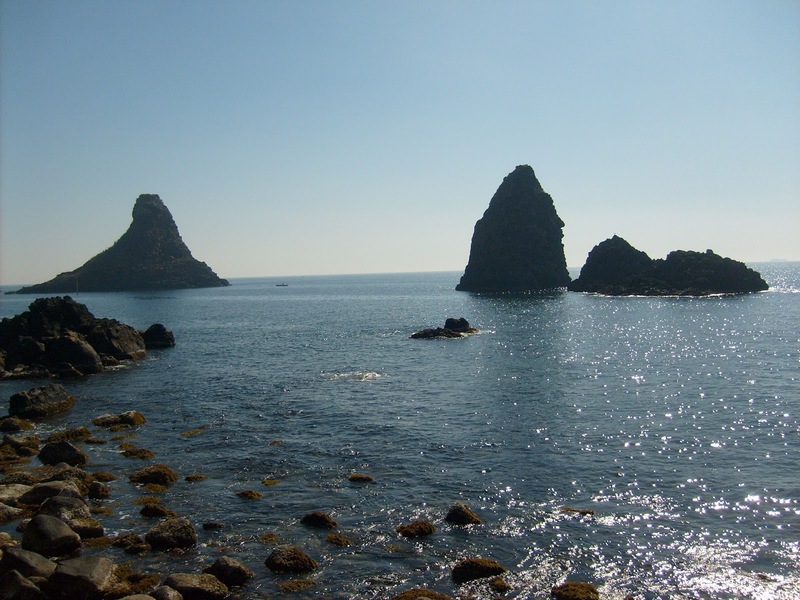 Just a few kilometres away, it is situated Acitrezza, famous for its cliffs, which according to Greek mythology narrated by Homer in his Odyssey, corresponds to the huge boulders hurled by Polyphemus against Ulisses’ ship when he landed in town. In addition, fresh local and delicious fish dishes, and pastries such as almond pastries, Sicilian “cannoli” and “cassata”, make Acireale a famous city worth visiting.